There are several different types of forklifts, each designed for distinct purposes and working situations. It becomes difficult to know which one is appropriate for your needs, so we’ve put together a simple guide to help you find out more about each different type of forklift you may encounter including cushion tire forklifts, pneumatic tire forklifts, electric forklifts, reach trucks, pallet stackers, and tow trackers. If you are looking for the right type of forklift for your business, contact Wayco. We can help you select the perfect equipment for your needs. Lift trucks are used in warehouses, construction sites, storage facilities, manufacturing, transportation, and logistics industries. There are a wide variety of forklift types. They come in many shapes and sizes, each with distinct applications, features, and benefits. When you lift or move loads from one place to another, a forklift truck is the most effective equipment you can rely upon. The following is a summary of the different types of forklifts showing their uses and applications. Read on for a more detailed explanation of each type. Best for indoor and light outdoor use: The cushion tire forklift is the most common type used in the industry. If most of your lifting will take place indoors on smooth dry floors or with light outdoor usage on asphalt, then the cushion tire will be the best type for you. Ideal for use in smaller spaces: Cushion tires are made of smooth or solid rubber and have a smaller turning radius making them ideal for manufacturing facilities that have less space than a warehouse. They are great for easily transporting palletized loads to and from the loading dock and storage areas. Useful for low clearance applications: Cushion tired counterbalanced forklifts are lower to the ground than pneumatic tired forklifts, making them more useful in lower clearance applications (surfaces that don’t require your loads to be lifted higher off the ground). Because of their lower clearance they are not suitable for uneven ground outside. Available in propane, gas, diesel, or electric: They are available in propane, gasoline, diesel, or electric and range from 3,000 lbs to 100,000 lbs. with a variety of lifting heights. More powerful than other forklifts: While the power source is no different from other forklifts, the lifting potential when compared to cushion and electric forklifts is generally doubled. Best for rougher, outdoor terrains: Typically, pneumatic forklifts have a larger frame and are the best choice for rough uneven ground, gravel, or asphalt. Heavy-duty tires found on highway trucks are similar to pneumatic forklift tires. There are two types of pneumatic tires – solid and air. Pneumatic tires can either be filled with air or they can be made of solid rubber with an inside cavity that is filled with polyurethane foam. Air-filled pneumatic tires have deep treads and tend to give a bouncier ride than the solid pneumatic tires. They work well outdoors on asphalt, in gravel and in yards. Solid pneumatic tires are less likely to get punctured so they work really well on rough terrain; you can’t pop, puncture or gouge them, making them ideal for lumber yards, scrap yards or anywhere there is debris. Variety of load capacities: Pneumatic lift trucks can also be obtained with almost any load capacity from less than 2,000 lbs to more than 200,000 lbs. 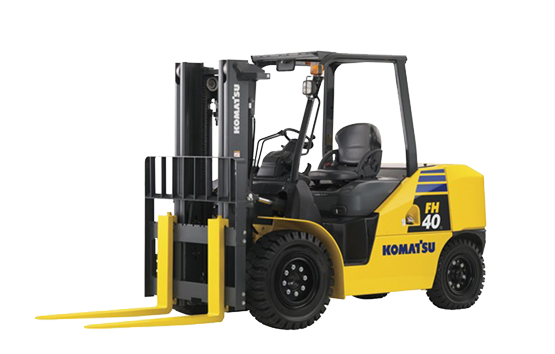 Choice of cushion or pneumatic tires: Electric lift trucks can be equipped with either cushion tires for indoor use on smooth floors and pneumatic for dry outdoor applications with less risk of failure on major components. They are available in 3 wheel or 4 wheel. The 3 wheel models have a smaller turning radius. 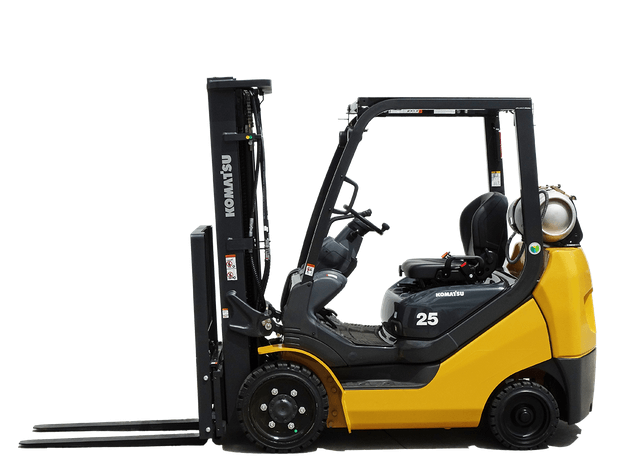 Most environmentally friendly forklift option: Electric forklift trucks are powered by an electric motor and are the most environmentally friendly, giving no harmful emissions. There is no replacing gas bottles or filling a tank with diesel fuel, just recharging the battery overnight on low rate tariff (when the electricity rates are lower). In a nutshell, the saying” pay me now or pay me later” really applies with electric forklifts, What’s more, electric trucks are highly reliable, tough, and very economical. Healthier for your employees: Indoor air quality is greatly improved, resulting in improved employee health. They are quiet and can produce fewer harmful greenhouse gases. A study by Yale Forklift found that a propane forklift produced over 20,000 pounds more greenhouse gases per year than an electric one. 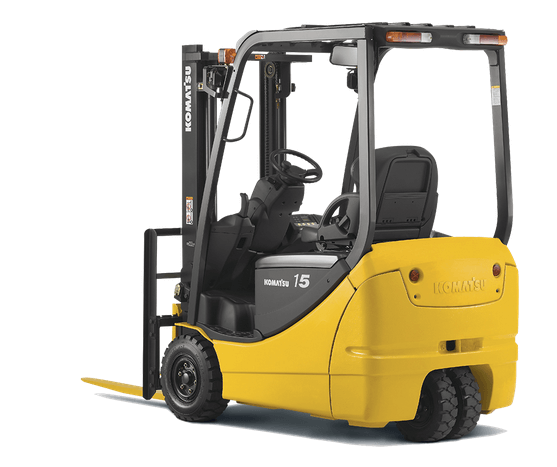 Higher lift heights than counterbalanced forklifts: Reach trucks are a powered battery stand on a unit with options of a single reach or double reach where space is limited with higher lift heights than a counterbalanced forklift. Electric Narrow Aisle models make the process of stacking and unstacking pallets easier and will give you the two pallet deep storage option. Great for working in small spaces: If you have little room to maneuver or space concerns, then a reach truck is what you need. The Electric Narrow Aisle/Order Picker forklift is the answer to your reach needs as it is perfect for optimizing storage space use. It’s the best choice for warehousing and storage facilities, grocery, and light to medium manufacturing as it is designed to work in very narrow aisles and allows you to incorporate more racking into your warehouse. Electric order pickers make order picking easy: An electric order picker is a type of reach truck used to pick and deliver material from storage, allowing personnel to reach pallets three stories high and retrieve product from storage. It requires only one operator with all controls at their fingertips. Order pickers are designed to make the order picking process easy. Help lift and transfer loads from one location to another: A Pallet/Walkie stacker is smaller than a reach truck and is commonly seen in warehouses. It is ideal for production lines or any industrial material handling applications. Power pallet jacks are also known as electric walk behind pallet trucks. The single or double pallet jacks are used to help lift, move, and stack loads that are too heavy to lift manually. Choose the style that suits your particular situation: Stackers can be either electrically powered or manually operated with different load sizes. They come in various walk behind or ride on types. Different models are designed for certain floor conditions and space constraints to suit different applications. They are best used for light to medium duty load handling and warehousing applications. Environmentally friendly: Pallet stackers are electrically powered, making them friendlier to the environment and ideal for warehouse applications as they do not emit harmful fumes. Come in a variety of load capacities and heights: You’ll want to choose the pallet stacker lift that fits in best with your routine and warehouse set-up. The most important questions you have to ask yourself are how much weight will you be lifting and how high. Typically the maximum lift height is 12’ or lower and they can handle up to 3500 lbs. More than this and you should consider a forklift. Come in a variety of types: A tow tractor is a type of utility vehicle such as a personnel carrier, burden carrier, stock picker, and tug. These vehicles were designed with factories and warehouse in mind. They are commonly used for moving cargo and can tow just about anything. Carry small loads or personnel: They are designed for carrying small loads and personnel in your warehouse, factory, or facility. It gets you from Point A to Point B quietly in your facility by yourself, with cargo, with a passenger, or with a passenger while pulling a load. 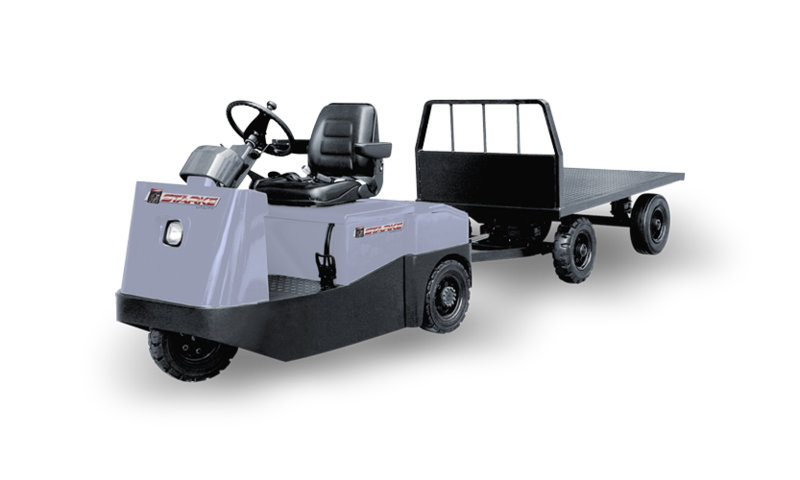 Save you time and energy: Utility vehicles give your facility the power to pull loads that were previously unmoveable. These workhorses feature designs with multiple cargo and seating options. Get all your hard work done safely and efficiently. Personnel transport vehicles can get people and gear to the next task quickly. If you are looking for top quality forklifts, contact Wayco. We sell the best forklifts you can buy. Our knowledgeable staff will be able to help you choose the perfect model that will best suit your particular applications. We will be happy to answer all of your questions and we can even provide top-notch safety training for your operators. Contact Wayco today for all of your forklift needs. Wayco’s intense and comprehensive forklift safety training program will provide you and your employees with the best safety training at the best price. We offer national coverage and local service with a 98% pass rate. We can train individuals or groups at our facility or yours – you choose.